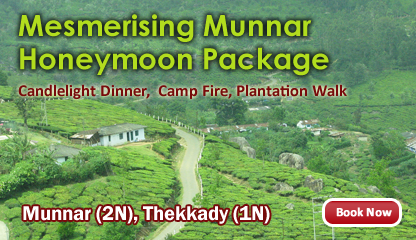 Get a FREE Itinerary Plan for your Munnar Tour Package ! Fun forest Adventure Park in Munnar continues to dominate the list of popular adventures parks in India. It draws a great number of adventurous travelers from across the world to Gods own country. The park is exactly located at Moolakadai in Munnar, on the Kochi-Madurai-Tondi Point Road, roughly around 3 minutes drive from the town of Munnar. The most stunning attraction here is the view of the dense forest from an elevation of 3600 feet above sea level! Fun forest Adventure Park amazes the tourists with the sight of sparkling waterfalls and hill ranges amidst their aerial adventure games. The park offers a range of adventurous activities such as Valley Crossing and Rock Climbing, Rappelling, Burma Bridge crossing, Zipline, ATV Ride, Buggy Ride, Jeep Safari and other High and low Rope activities. At Fun Forest Adventure Park there’s an amazing array of challenges to get an adrenaline rush for solo riders, family-group or even the fearless friends’ gangs. Even though the prior physical skills add more easiness for expeditions, we provide all safety measures for having an exceptional experience for newbies and professionals. Ee have to pull ourselves across the valley with the help of a pulley that is in turn tied to a suspended rope. This extremely adventurous sport is a real true treat for thrill seekers coming to the destination. is a challenging sport which requires immense physical exercise and mental focus. With the aid of ropes and the assistance of safety officers’, people climb up, down or across forest’s natural rock formations. Fun Forest offers another rip-roaring team-activity called rappelling or abseiling. The traditional way to rappel is to thread a cord through a specialized belay device attached to the climbers’ harness and he just starts descending cliffs or the slopes of the rock. is a typical rope walking experience provided by the Fun Forest Park for thrill seekers. Here, a thick cable is attached on the base to walk upon, and two handrail ropes are fastened on the sides to hold on. Trippers can thus cross the bridge that extends across the forest area of the park. gifts the pleasure of driving a four-wheel buggy car through the verdant landscape of the forest. A team buggy ride triggers more spirit and gusto for the tourists and is one of the main adventurous attractions offered by the park. Fun forest is equipped with most modern ATVs for family groups and friends to enjoy the outdoors of the heavenly nature of Munnar’s forest. Roar into a wilderness of thick forests, delightful valleys and then switch the gear up with a full-throttle off-road ATV forest ride! ross the edges of the breathtaking Fun Forest Park, solid foot cable prompts riders for an accelerated journey through the Munnar jungle, zipping over silent valleys and through the hills. Jeep safari offered by the park is an amusing and at the same time soothing tour suitable for all ages. Every traveler can explore the hilly terrains and the classic highlights of Fun Forest in the comfort of a super jeep. For the less adventuresome backpackers, the park woos them with the gushing charm of nature in the form of waterfalls, hills and streams shining with chilling weather. Amongst the list of popular and tiresome tasks, buggy ride and Jeep safari offer soft adventurous possibilities along with sightseeing. In fact, an accomplished trip to Fun Forest carves the real hero in you. All these breathtaking activities at Fun forest makes it truly Kerala’s mind-blowing tourist arena and attracts more and more visitors with each passing year. The cost of riding is accepted as economical by all the tourists visiting the site and guarantees that the money spent is a well worth visit. The opening hours of the park starts from 6:00 am to 5:30 pm throughout the entire week, making it accessible for tourists across the world without experiencing any breaks in between. Tourists are allowed to click pictures and take videos of the forest area with the help of their cameras and mobile phones. The misty hills and fizzy streams make up a perfect backdrop for your timely snaps. One of the best things about Fun Forest Park is the fact that it is never too hot. It had recorded a maximum temperature of 20°C and a minimum of 15° C till date. Due to the presence of south-western monsoon, tourists pick days between June to September to visit Munnar. But that’s not the case with Fun Forest Adventurous Park. The ideal time to get here is the winter and summer seasons, ranging between November to May. Rainy days creates overflowing valleys, wet pavements and reduced visibility for the tourists to indulge in physical expeditions. Tourists opt for various modes like Bus, Car, bikes, Train and other relevant public transportation alternatives to reach their destination. Bus: Many trippers in and outside Kerala take advantage of the public transport systems for safe and secure journeys. Train: From Alwaye railway station, catch any taxi service to reach Fun Forest, located 110 kilometers away from there. Private vehicles including cars & bikes: Whether you pick a car or bike for your travel, it’s easy to get to the park through high-standard roads. 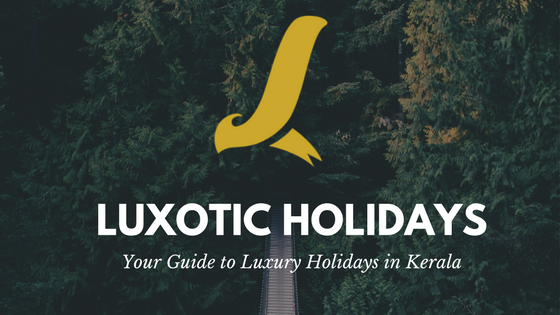 Ready to book your holiday in Munnar?